Following his conquest of Herat in 1732, Nadir Shah moved over 60,000 Abdali Afghan tribesmen from Afghanistan to Mashhad, Nishapur and Damghan. By thus transfering these Abdalis to Khurasan, he added materially to the already considerable concentration of tribespeople of good fighting qualities. 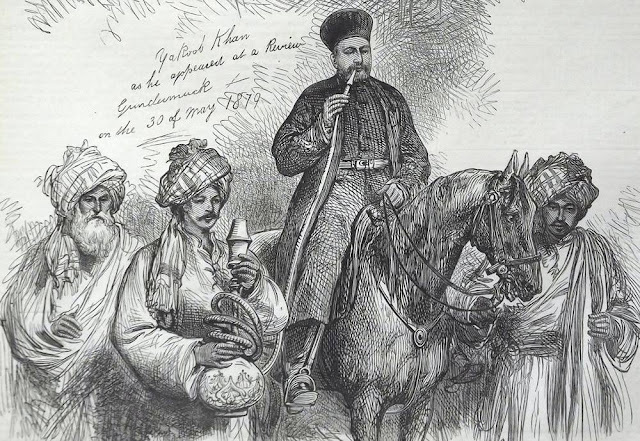 Ali Khan, who was one of the karim Khan Zand;s experienced military commander,in 1759 was deatiled to killed off the settled Afghans in Mazandaran in Karim khan's Nouruz massacre. In 1758, Muhammad Hasan Qajar's loyal governor of Mazandaran massacred most of the unreliable Afghans who had been allowed to settle around Sari after Azad's defeat. That same Nauruz, in 1763, thousands of Afghans were massacred all over northern Iran -reputedly 9000 in Tehran alone - and those who escaped were hunted down and killed as far away as Yazd.